Poly PlugTM Ultra Squeeze consists of a pharmaceutical grade cross-linking agent, a blend of low molecular weight polymer and a filtration agent, designed for use with matrix and fractured formations. The slurry is pumped to a vertically defined zone and a slight squeeze is applied. When placed in a wellbore, the slurry dewaters to form both an open hole plug composed of filter aid material and an inner zonal shut-off. What is unique about this product is the de-watered phase crosslinks, providing an inner zonal shut-off. 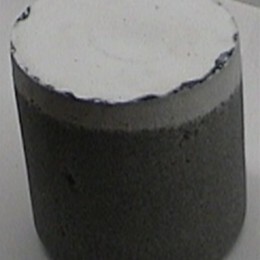 The open hole plug holds the polymer solution in place while it crosslinks, forming a non-flowing gel inside the formation. The inner zonal plug has sufficient strength to prevent fluid intrusion into the well bore, even under high differential pressures after drilling out the open hole plug. The cross-linking action is a function of temperature. For temperatures below 100° F, an accelerator, ULTRA SEALTM XLA is required. For temperatures above 125 ° F, a delaying agent, ULTRA SEALTM XLR is required. ULTRA SEALTM XLD is a silicone based de-foamer and aids in reducing viscosity. Other de-foamers should be pilot tested prior to use. XCD polymer is required for suspension of the filtration agents and any weight material. 40 lb sacks, 40 sacks per pallet.